UN – The number of internally displaced persons seeking refuge with the United Nations Mission in South Sudan (UNMISS) has grown to 53,000 following the latest bout of fighting in the African country, a spokesperson for the Organization has confirmed. The announcement comes just one day after the Norwegian Refugee Council (NRC) and the Office of the UN High Commissioner for Refugees (UNHCR) declared that the number of internally displaced persons (IDPs) worldwide had skyrocketed to a record-breaking 38 million by the end of 2014. Addressing reporters at UN Headquarters during today’s press briefing, UN Spokesperson Stéphane Dujarric said UNMISS reported that more than 500 displaced people had arrived at the Mission's civilian protection site in Bentiu, in Unity state, since 3 May. The bulk of them, Mr. Dujarric noted, had come from Guit County and the area of Nhialdiu in Rubkona County, where heavy fighting has reportedly been taking place between Sudan People's Liberation Army (SPLA) troops and opposition forces. He added that this new influx of displaced people brings the total number of civilians protected at the UNMISS site in Bentiu to some 53,000. South Sudan’s ongoing conflict began in December 2013 and has been marked by brutal violence against civilians and deepening suffering across the country. The major humanitarian consequences are widespread displacement due to the violence, including high rates of death, disease, and injuries, severe food insecurity and disrupted livelihoods, and a major malnutrition crisis. 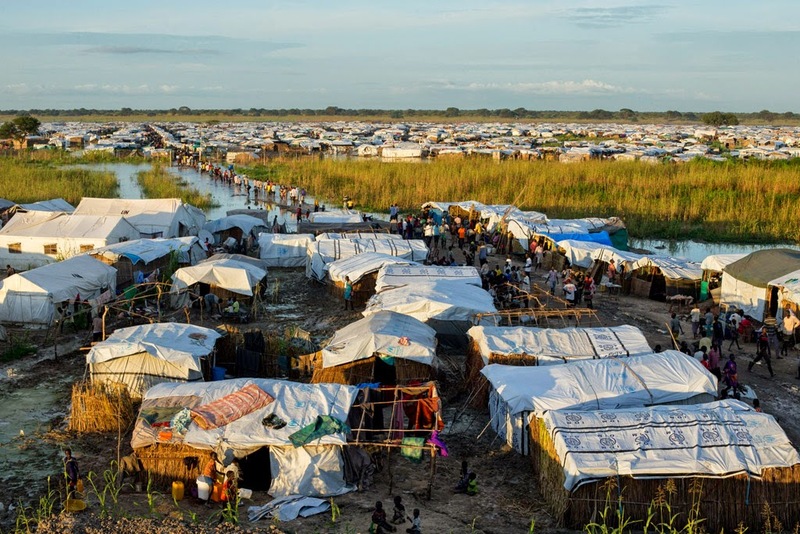 Some 119,000 people are sheltered in UN compounds across South Sudan while the Organization estimates that the number of people in need for 2015 will include an anticipated 1.95 million IDPs and a projected 293,000 refugees. According to Mr. Dujarric, UNMISS confirmed it was aware of reports claiming that SPLA forces had gained control of territory in Nhialdiu and Guit County that has been under the control of armed opposition forces for some time but acknowledged that the Mission remained unable to independently verify these reports. At the same time, UNMISS had said that its patrols in Bentiu continue to face movement restrictions, which are impeding monitoring and protection activities outside the protections site. Exactly ten years after I first published this blog, today is the last day of publication. I would like to thank UN News Centre for the excellent content they have provided over the years. Without their cooperation and the hard, often dangerous work of their journalists, this blog could not have lasted so long.